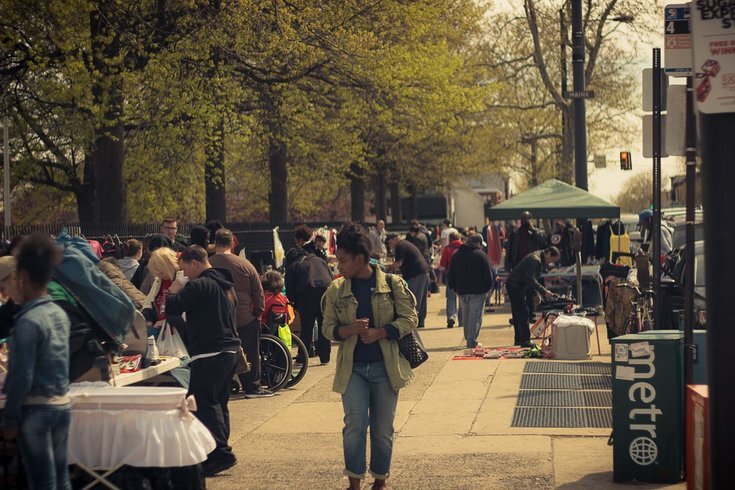 Enjoy the warm weather and shop outside at a neighborhood flea market. Lower Moyamensing Civic Association will host a flea market on Saturday, April 22. The sidewalk of Broad Street, between Snyder Ave. and Jackson St., will be taken over by 55-plus vendors selling various knickknacks. Besides an opportunity to shop for trinkets and treasures, the flea market will feature family-friendly entertainment. There will be live music and children can line up for free face painting. The Philadelphia Free Library's book bike will also cycle by, for readers of all ages to grab a new novel. The flea market will run from 9 a.m. to 3 p.m. In past years, the flea market has drawn over 1,000 shoppers. Proceeds from the event will benefit the civic association.